The basic design of the Star Wars Chewbacca slippers is that it covers the half of the top part of your feet, with material that looks like fur and has a little wookiee on top of the part that covers the top half of your feet. The Star Wars Chewbacca slippers come in a brownish color, which brings out the color of the wookiee and adds a slight different touch to the design of the slippers! 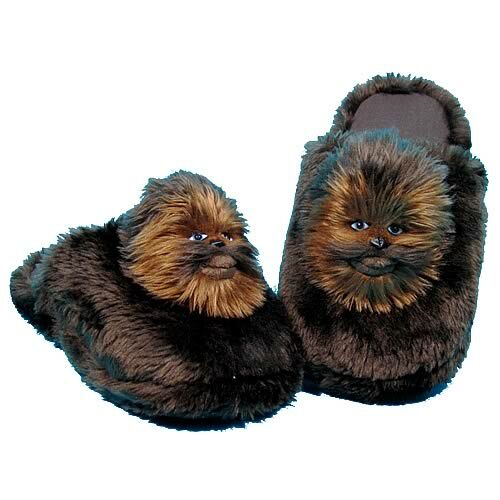 via Star Wars Designed Chewbacca Slippers – Comfort Redefined | Walyou. 1901 Jump – The Coolest Mashup Ever!